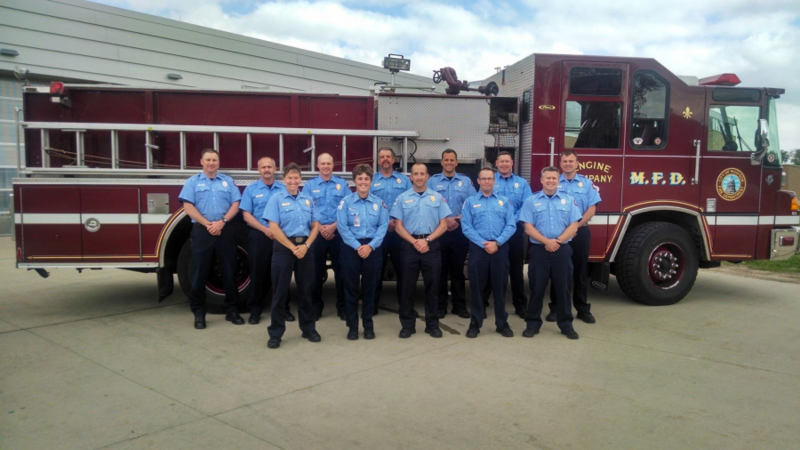 One firefighter and four apparatus engineers were recently promoted to the rank of Lieutenant with the City of Madison Fire Department. They are among a group of twelve individuals (pictured below) who will become lieutenants as positions become available. Each candidate passed a rigorous application process in order to qualify. All have at least ten years of experience in the department. In addition to taking a written test, all candidates are reviewed on various aspects of their overall job performance, including etiquette, punctuality, and engagement with the public, to name just a few. They also participated in a three-part “Assessment Center,” where they were tested on personnel problem solving, fire response strategy, and teaching scenarios. The following individuals have been assigned to their new position at one of our thirteen stations, serving in one of three 24-hour shift cycles (e.g. “A” shift, “B” shift, “C” shift). We invite you to get to know them by following this blog throughout the week!